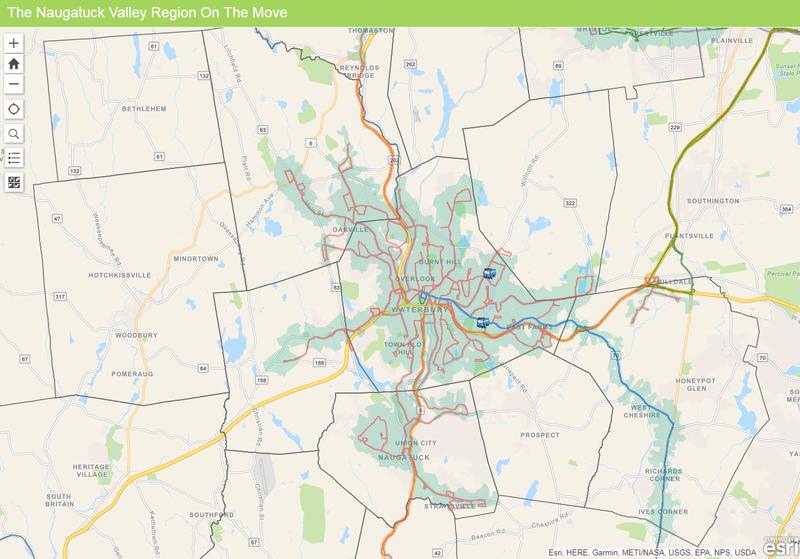 NVCOG has released a new application to allow residents to identify transportation projects in their region. Using this application, residents can choose problem spots they are familiar with and upload a request for improvement, along with any desired notes or photographs. Residents may also vote on proposed projects to identify their favorites. Must make reservations at least 24 hours in advance. Please let dispatcher know if you need assistance, or if you will be bringing a personal care assistant. Trips ending in Naugatuck may be charged $7.00 instead of $3.50, depending on the drop-off location. Trips to and from Southbury are only available Monday–Friday between 9:00a–4:30. Three roundtrips to Gaylord Hospital per day are available Monday–Friday. For more information, follow the link to our Paratransit page. For service complaints, or to schedule a ride, please see the appropriate service page at left.